This week's beauties are Lines of Beauty's first couple, artists Alice and Richard Matzkin. Some of you may remember that I featured the Matzkins and their wonderful first video The Art of Aging- Celebrating the Authentic Aging Self last autumn. If you missed it, it's a must see as it's about their journey to embracing and celebrating the aging process through their art. One of things that struck me in the Matzkin's latest video (posted below) is that they have married each other not just once or twice, but five times. The last time they married they vowed to each other that they would always remember that this might be the last day that they can be together. What an inspiration. I say this because clearly they are a couple who are committed to creating a great marriage. Too bad they are on the west coast as I'd love to have them for dinner. 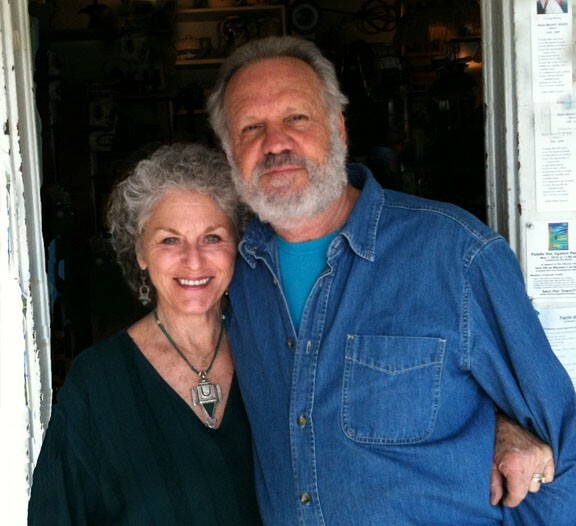 "We are Richard and Alice Matzkin a loving husband and wife, presently in our late sixties and early seventies. As we entered middle age, we became disturbed by the increasing signs of aging we were experiencing – wrinkles, bulges, grey hair, etc. Being artists – Alice is a painter, Richard is a sculptor – we began using our art as a way to explore and work through our emotional turmoil and negative views we held about aging. After 15 years, we have produced an impressive body of work, and a beautiful art/inspirational book, THE ART OF AGING, Celebrating the Authentic Aging Self (Sentient Publications, June, 2009). Most important, this work has helped us come to a sense of peace and appreciation of our aging process. Through various art projects related to aging, we have explored essential issues about growing older, such as …looking beyond the surface and discovering inner beauty. … joys and advantages of mature love and relationships ... finding acceptance of the changes taking place in our aging bodies … coming to peace with parents in their old age and death. These art projects, writings, and interviews with elders who are living their lives with passion and zest, have helped us discover that aging can be a time of ripening and harvest rather than stagnation and despair. Especially in our age-conscious society, “old” brings up fear and judgment. While we don’t minimize the challenges of growing old, we have found our present moment to be among the best of our lives. Age has given us a wider perspective, a deeper understanding of the meaning of our lives, a gratefulness and appreciation of the preciousness of “now”. This has come about primarily because, instead of trying to hide or deny the ongoing effects of time on our body and mind, we have attempted to consciously and joyfully embrace our aging. This is a message of hope that people of all ages can benefit from." What follows is the Matzkins latest video The Art of Aging. 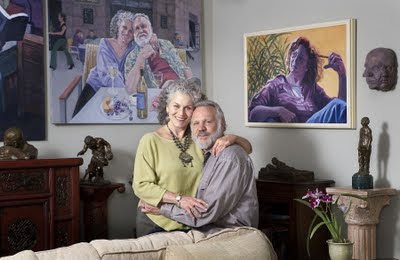 In it Alice's paintings and Richard's sculptures capture people over the age of seventy. The Matzkins also explain that aging has deepened their love for each other. They say that life becomes more precious as it goes on, as does their time together. Thank you Alice and Richard for being this week's beauties. Absolutely beautiful! Gems mined from the seam of living.